You might be thinking this title sounds a lot like the last one, because it does. But it’s worth reading as well. It’s actually recommended in the last book. Gratitude and selflessness go hand in hand, but they have their differences. Gratitude has more to do with how your children actually feel in their hearts, and how they express their thankfulness. Selflessness has more to do with how they demonstrate themselves to others through their actions, before anyone else has done anything. 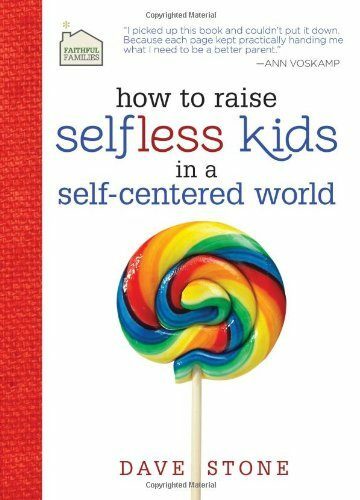 So while Raising Grateful Kids in an Entitled World focuses on how your kids feel and respond, this book focuses on how your kids act towards others, and how they serve others. This is the first book on the list without an Audible version, sadly. However, at 160 pages, it won’t take long to read this one.